This article is no longer up to date and needs to be updated with new information from Halo: Broken Circle and Halo Waypoint's Universe articles. You can help by updating this article. This article is about the Prophet and former Minister of Fortitude. For the Halo 5: Guardians multiplayer map, or the Ministry he once led, see Truth (level) and Ministry of Fortitude. "Whosoever is gripped by fear, take heed. I am the Prophet of Truth... And I am not afraid." The High Prophet of Truth, born Ord Casto and formerly serving as the Minister of Fortitude, was the head of the three San'Shyuum Hierarchs who led the Covenant High Council during the Ninth Age of Reclamation. Cunning and ruthless, Truth oversaw the Covenant's genocidal campaign against humanity for twenty-seven years until his death in December 2552. Ord Casto was born on High Charity on March 15, 2396. He began his political career as a junior staffer serving in the Ministry of Concert. During his time in the Ministry, a complaint was received from an Unggoy distillers' union that claimed faulty atmospheric controls on Kig-Yar naval vessels were tainting the Unggoy's batches of infusion—recreational narcotics often enjoyed by Unggoy. Ord Casto was tasked with the dispute due to its seemingly trivial nature. However, he unearthed a conspiracy by several radical Kig-Yar shipmasters to poison infusion resources. The Kig-Yar planned to render the Unggoy infertile, as petty revenge for the displacement of Kig-Yar nests which had led to an increase in Kig-Yar infant mortality—caused by a recent boom in Unggoy population. Although Casto recommended stiff penalties, the Minister of Concert decided to simply fine the Kig-Yar involved. Casto lodged a formal complaint, but was rebuffed by his superiors who did not wish to anger the Kig-Yar. However, the "Infusion Incident" quickly escalated into a bloody civil war known as the Unggoy Rebellion in 2462, bringing about the 39th Age of Conflict. After the Unggoy were pacified and brought back into the Covenant, the 23rd Age of Doubt began, and Casto was promoted to Minister of Fortitude shortly after. As the Minister of Fortitude, Ord Casto served as an exceptional politician for decades. Throughout his service in this position, Fortitude worked hard to see that Forerunner technology was evenly distributed among the member races to prevent another Age of Conflict. Fortitude was on the Roll of Celibates, a list of San'Shyuum not allowed to breed due to their weak genes. This did not, however, particularly bother him. As the Minister of Fortitude, he was fond of smoking, yet he rarely used the hookah tobaccos favored by his senior staff. On January 18, 2525, Fortitude met with the Vice Minister of Tranquility, Lod Mron. The Vice Minister informed him of the massive trove of "Forerunner artifacts" that had been discovered on a planet outside of Covenant space by Minor Transgression. Tranquility planned to use these artifacts to spring himself into a position of high power, as a Hierarch of the Covenant, and offered the same for Fortitude. Additionally, the Vice Minister had a Jiralhanae vessel awaiting for orders near the planet. Intrigued, Fortitude had the Vice Minister order the ship under his command to confirm the artifacts' discovery. Rather than upset the fine balance of power by allowing the Sangheili to gain the treasures, Fortitude ensured that the Jiralhanae were the ones leading the search. In order to push the three current Hierarchs—Tolerance, Obligation, and Restraint—from their positions, Fortitude utilized blackmail against the Prophet of Restraint. The Vice Minister of Tranquility had shown himself as a sympathizer for those blacklisted from reproducing due to inbred genes, after being urged to do so by Fortitude who was aware that Restraint had illegitimately fathered two children. The Prophet of Restraint offered Tranquility a high position if he would adopt the children, but the scheming Prophets instead used this to their advantage, blackmailing him and forcing the Prophet to step down or have his scandalous affair made public. Before their coup, the Prophets visited the Philologist Hod Rumnt, leader of the ascetic priests aboard the Forerunner Dreadnought and keeper of the Oracle, which was actually the long-dormant Mendicant Bias, an ancient AI that had not spoken to anyone for thousands of years. When the Luminations of Harvest were inserted into its matrix, it suddenly reactivated and revealed that the basis of their religious institutions was in fact a misinterpretation. Not only were recently discovered humans considered equals to the Forerunners by the Oracle, but the hallowed "Reclamation" glyph in the Covenant faith actually meant "Reclaimer". They believed, erroneously, that humans were descended from the Forerunners, a fact that directly contradicted the central tenet of the Covenant religion, that none would be left behind when the Great Journey began. If humans were the chosen successors of the Forerunners — or were surviving Forerunners themselves — yet had not transcended when the Sacred Rings were last activated, then that meant that the Halos would not provide godhood to all who walked the divine path. The Oracle then tried to launch the central Forerunner Dreadnought from High Charity to find and bring the humans to the Ark. Before it could succeed, the Lekgolo worms inside the Dreadnought short-circuited it and stopped Mendicant Bias. Fortitude, Tranquility, and the Philologist made the decision to disconnect the Oracle from the ship and decided to eradicate humanity before any of the Covenant learned that the most basic premise of their faith was false, and that "living gods" would probably replace the Prophets. They ascended to power, taking the names of Truth, Regret, and Mercy. When Fortitude realized the implications of what the Oracle had told them, he and the other two Hierarchs-to-be agreed not to tell the masses of their discovery, and decided that the humans must be eradicated once and for all before any in the Covenant could learn the truth. The three Prophets successfully implemented their plan and became the new rulers of the Covenant. This heralded the beginning of the Ninth Age of Reclamation. Fortitude chose the name "Truth" as a reminder to himself of the truths he must never tell, and the lies he would have to spin to prevent the Covenant from fragmenting. Around 2535, Truth was approached by the Kig-Yar Reth, who had brought information of the Rubble and of the resident humans' desire to trade with the Kig-Yar. Realizing that the trade could be used to map the human population, Truth secretly authorized Reth to begin trading weapons which had been modified for use by the humans, then sold to the Insurrectionists living in the Rubble. This would hopefully allow the Covenant to track the weapons, finding new human worlds to glass. The institution of the Cole Protocol hindered this, but Reth had a plan to acquire the location of the human homeworld from his human contact Peter Bonifacio. Truth, who was wishing to minimize Sangheili control on the Covenant, promised the Kig-Yar a higher position in the Covenant if the task was successfully completed. Truth also approved of Reth's plans to construct a massive Unggoy army on the methane-rich moon of Metisette and eventually use it to attack Earth. All went according to plan until the uninformed Regret sent Shipmaster Thel 'Vadamee to investigate the weapons, which had made their way to black markets on High Charity. Truth made his way to the Charybdis system, several days after the Battle of Charybdis IX, to personally rebuke Regret aboard the latter's personal cruiser—Infinite Sacrifice. Truth decided to leave for the Rubble alongside Regret and his fleet to either aid the Kig-Yar's efforts, or help destroy the Rubble. Due to a failure of the humans to provide Earth's location, Reth ordered an attack on the Rubble and Exodus asteroids, which soon disintegrated along with Truth's plan. With the failure of the plan, Truth was about to have Thel and his soldiers executed, until Thel saved him from a disillusioned Sangheili Zealot. As a reward, Truth spared Thel on the condition that he "say nothing of what happened here". After returning to High Charity, Truth looked on the positive side, stating that they had purged possible human-sympathizing Kig-Yar and Unggoy, and because of the modified weapons, had found two more human worlds. Obsessed with the Great Journey and his personal ascension into godhood, Truth would suffer no disloyalty. Even well before the removal of the Sangheili from the Honor Guard and the Covenant's Great Schism, Truth had begun to doubt the loyalty and reliability of the Sangheili, viewing them as a species splintered by heresy and derision, even amongst their own ranks. The seeds of this were placed when the then-Vice Minister of Tranquility wisely made the decision to send the Jiralhanae to Harvest, and the more recent incident concerning the Battle of the Rubble only strengthened these impressions. Most damning, isolated Sangheili held secret doubts as to why the humans were being exterminated despite their stubborn resistance and bravery. They had not been offered a chance to be absorbed into the Covenant as other races had. Truth learned of these conversations from Jiralhanae spies stationed through the Covenant's fleet. 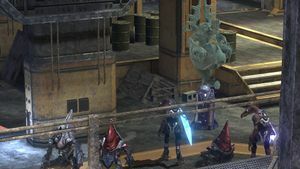 In contrast, Truth was pleased with the Jiralhanae for their eagerness to prove their loyalty, not to mention their battle prowess had earned them a place as the protectors of the Covenant. Such blind faith and vicious enthusiasm marked them as near perfect pawns for Truth to sacrifice, without the inherent risk that the honor-bound Sangheili held. This led Truth to put his "divisive mandate" in motion. Secretly, he devised a complex scheme to eventually replace the Sangheili with the Jiralhanae as his personal guardians, as well as the primary warrior race of the Covenant. This started with subtle gestures that soon became more and more drastic, which later would ultimately culminate in the Great Schism. His plans were never made in haste; they were laid gradually and with great care. The Prophet of Truth became the deciding factor in all issues for the three Prophets, representing an inequality in power that put him above the other two. Some time before the Prophet of Regret's mission to Earth, Truth had managed to discover Earth's location. For him, this was an opportunity to crush his enemies—both the humans and the Sangheili—once and for all. Instead of informing the rest of the Covenant or his fellow Hierarchs of this discovery, he secretly assembled a fleet of over five hundred warships, to a command-and-control station called Unyielding Hierophant. All of these forces were commanded exclusively by the Jiralhanae, making it a simple matter to turn the fleet against the Sangheili once the humans had been crushed. This plan had more immediate advantages as well; leaving the Sangheili to scour Earth in search of the most sacred Forerunner artifact in existence, the Ark portal generator, would have placed Truth's plan upon the shoulders of a species he had already decided to cast aside. However, the UNSC forces discovered Unyielding Hierophant and its purpose, and a small team of SPARTAN-II supersoldiers led by the Master Chief destroyed the station, along with all but a dozen of the ships in its charge. After the destruction of Unyielding Hierophant, Truth waited in High Charity in the Sanctum of the Hierarchs for Tartarus, Chieftain of the Jiralhanae, to arrive with what remained of an ancient Forerunner Crystal that could manipulate time and space. He ordered the reward and secret execution of the remaining survivors from Operation: FIRST STRIKE, so as not to cause panic in the Covenant by stories of how the Demons had destroyed an entire fleet. Knowledge of the station's ultimate goal, and its eventual destruction, were suppressed by the Prophet of Truth—the Unyielding Hierophant's original purpose has since remained a closely guarded secret, even from the rest of the Hierarchs. Truth and Mercy preside over the trial of Thel 'Vadamee. "The Council decided to have you hung by your entrails, and your corpse paraded through the city. But ultimately, the terms of your execution are up to me." — Truth speaking to the new Arbiter, Thel 'Vadamee. Thel 'Vadamee, the former Supreme Commander of the Fleet of Particular Justice, was brought before the High Council to answer for his failure in protecting the holy Halo from its destruction at the hands of the Demon. The Council called 'Vadamee a heretic for the magnitude of his failure, and with a nod, Truth dismissed 'Vadamee from the Council Chamber, stating that when the Great Journey began the disgraced Sangheili would be left behind. 'Vadamee was later branded with the Mark of Shame by Tartarus in front of the population of High Charity. 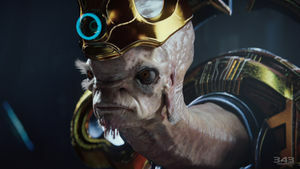 However, instead of executing 'Vadamee as the Council decided, Truth, backed by the High Prophets of Regret and Mercy, chose to make him an Arbiter. Knowing full well that the Arbiter's missions were suicide, the Council would have their corpse in the end. Truth then sent his new Arbiter against the Heretic rebellion forming on the nearby gas mine on Threshold. Despite heavy resistance from the Heretics and an unexpected incursion by the Flood, the Arbiter succeeded in his task and survived. While Truth had kept the discovery of the human homeworld a secret, the Prophet of Regret managed to independently discover the location of the Portal. Eager to exploit its power, Regret quickly departed with a fleet of fifteen ships, not realizing that this planet was in fact the most heavily defended human world of all: Earth. Soon after this, Truth learned of the Prophet of Regret's foolhardy move and sent a massive fleet, commanded by the Jiralhanae, to Earth to pick up where Regret had left off. Upon arrival at Earth, Regret's forces were outnumbered and outgunned. In mere hours, Regret was forced to retreat. Shortly thereafter, Truth's fleet arrived. Several surviving ships from Regret's fleet were still under the command of the Sangheili. Once Truth gave the word, the Jiralhanae in Truth's fleet forcefully overtook the Sangheili and assumed complete control over the fleet, and slaying any remaining Sangheili stationed on the planet at will, with the Pious Inquisitor being the only remaining ship from Regret's original fleet. Upon further orders from Truth, they aggressively deployed infantry directly into the human city of New Mombasa, and picked up where Regret had left off. Once the UNSC forces had been defeated in the city of New Mombasa, Truth's fleet would start uncovering the Portal, preparing it for his arrival nearly a month later. "Your haste has jeopardized the fulfillment of our Covenant, threatened our grand design." — Cortana, quoting Truth's words to Regret. While on Delta Halo, Regret transmitted an apology to Truth, apologizing for his reckless attack on Earth, having not anticipated a strong human presence there. Truth responded angrily, saying that it was only Mercy who had stopped Truth from publicly condemning Regret. Nevertheless, High Charity and its fleet rushed to Installation 05 and released a fleet of Phantoms full of forces to save Regret from a strike force led by John-117. 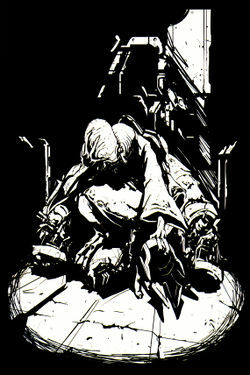 His sermons were interrupted when John-117 gained entry to his inner sanctum, assassinating Regret and his Honor Guard. The rescue Phantoms were called back by Truth, and instead an assault carrier destroyed the ancient building. It is probable that Truth allowed Regret to be killed, using the Demon to rid himself of Regret, and providing a long needed pretext for the replacement of the Sangheili Honor Guards. "We are, all of us, gravely concerned. The release of the Parasite was unexpected, unfortunate. But, there is no need to panic. In truth, this is a time to rejoice. A moment that all the Covenant should savor. For the Sacred Icon has been found. With it, our path is clear, our entry into the Divine Beyond guaranteed! The Great Journey is nigh! And nothing, not even the Flood, can stop it." Defying expectations, the Arbiter had found an Oracle calling itself 343 Guilty Spark, who had escaped the destruction of Halo. Carefully questioning the Oracle, the Prophets learned of the Activation Index, which they called the Sacred Icon, required to activate a Halo ring. Truth and Mercy then dispatched the Arbiter and many high-ranking Elites, including Rtas 'Vadumee, to collect the Index from the Library of Delta Halo, fully expecting most, if not all, of them to be killed by the Flood, and secretly ordering Tartarus and his top Brute warriors to kill any Elites that made it to the Sacred Icon. This resulted in the attempted assassination of the Arbiter, and in Miranda Keyes and Avery Johnson being taken prisoner. "With my blessing, the Brutes now lead our fleet. They ask for your allegiance, and you shall give it!" — Truth, before fleeing High Charity. Truth betrays Mercy, leaving him for dead and taking full control of the Covenant. After Regret was killed by the Master Chief, Truth's duplicitous scheming came to full fruition. The Elite Honor Guard's failure to protect the Prophet of Regret afforded him with the final leverage needed to appoint the Brutes to the lofty position. Truth began replacing the Elites with the Brutes as the Prophets' protectors. This was a devastating blow to the Elites' honor, and they threatened to resign from the High Council in outrage. Shortly thereafter, while Truth was addressing the Covenant about the Flood, the Sacred Icon, and the Great Journey, SPARTAN-117 was teleported into Truth's chamber. Forced to flee from the Demon, Truth and Mercy tried to escape to the Forerunner Dreadnought located in the city's center. On the move, Truth, knowing that there was no chance of the Sangheili stepping down peacefully, secretly ordered the genocide of the Sangheili by the Jiralhanae. Initially, the Sangheili believed that the Jiralhanae had begun an insurrection against them and the Prophets. When Thel 'Vadam informed them otherwise, the Sangheili rebelled against the Covenant completely. The Covenant Civil War had begun. As the two remaining Prophets tried to escape with their human captives, a mass of Pod infectors attacked them. Most were destroyed by Tartarus and his Brutes, but one leaped towards Mercy, knocking the frail Prophet off his gravity throne, and began infecting him through the throat. Tartarus attempted to save the old Prophet, but Truth ordered Mercy be left behind as a final ploy to take absolute control of the Covenant. Truth's quest for power and godhood would not be dissuaded or threatened by anyone, even his fellow Prophets. Truth sent Tartarus to Delta Halo to activate the rings while he escaped into the Forerunner Dreadnought. When the Master Chief questioned a dying Mercy, he told the Chief that Truth was going to Earth, "To finish what we started." A hologram of Truth in Voi. "You are, all of you, vermin! Cowering in the dirt, thinking... what, I wonder? That you might escape the coming fire? No! Your world will burn until its surface is but glass! And not even your Demon will live to creep - blackened - from its hole to mar the reflection of our passage, the culmination of our Journey. For your destruction is the will of the gods. And I? I am their instrument!" — Truth making a broadcast to the humans of Earth. Although Tartarus' attempt to activate Delta Halo had failed, ending in the Brute Chieftain's death, Truth was not deterred, going back to the artifact which Regret had sought. Truth departed from High Charity onboard the Forerunner Dreadnought, severing the ancient vessel from the city's power grid. Unknowingly carrying Spartan-117 onboard the ship, Truth headed for Earth, and after his fleet managed to defeat the orbital defenses, he landed the Dreadnought on the Forerunner artifact. His troops had nearly finished excavation during the four weeks since their arrival. While the digging was still in process, Truth broadcast to a UNSC base, declaring that human extinction was inevitable and not even their "Demon" could stop him. The death of Truth at the hands of Arbiter Thel 'Vadam . "I... am... Truth! The voice of the Covenant!" Once the artifact was fully uncovered, Truth landed his Dreadnought directly on it, while his troops set up air defenses around the perimeter. On November 17, the UNSC managed to break through the defenses and assault the Dreadnought directly. However, their attack failed, and Truth successfully activated the artifact, opening a portal through which he and his followers departed. After arriving at Installation 00--the real Ark--on December 11, Truth set down on the massive construct in his Dreadnought, eventually traveling to the Ark's Citadel from where he would activate the rings. Later that day, his forces captured Sergeant Major Avery Johnson, whose status as a Reclaimer would be used to activate the rings for him. Despite the Prophet's efforts, the combined forces of the UNSC and the Elites deactivated a section of his shield and broke through, along with the newly Flood-controlled High Charity. Truth's enemies closed in around him, assaulting the Citadel from all sides. In the Ark's Citadel, a Brute Chieftain proceeded to beat a captive Johnson, who goaded him on. Truth ordered the Chieftain to let him live, as only a human could activate Forerunner technology. As the High Prophet tried to force Johnson to activate the ring, Commander Keyes crashed a Pelican into the control platform in hopes of rescuing Johnson, but found herself surrounded by Truth's Brute Bodyguards. As Miranda held the Brutes back with her firearms, Truth told her she that she was only delaying the inevitable. Realizing he was right, Miranda decided to kill both herself and Johnson before either could be forced to activate the installations. However, she hesitated to kill Johnson, giving Truth the opportunity to shoot her in the back with a Brute Spiker. He then derisively commented to Johnson that he now understood why the Forerunners had left humanity behind: Humans were too weak and sentimental to be worthy of ascension to godhood. Truth forced Johnson's hand onto the control panel, activating the Halo Array. Truth's plans were derailed, however, by the appearance of John-117 and Thel 'Vadam, who had formed a temporary alliance with the Gravemind and its Flood. Truth's guards were overwhelmed by the surge of Flood on the bridge, and by the time John-117 and Thel reached Truth, he was already succumbing to Flood infection. Declaring his vengeance on a Prophet, not a parasite, the Arbiter held Truth by the throat and forced him to watch helplessly as John-117 deactivated the Halo Array. Truth gave a final, defiant declaration of his holiness before being stabbed through the chest by 'Vadam's Energy Sword. The supreme leader of the Covenant was dead, and what was left of his empire crumbled away soon after. Behind his collected and manipulative facade, the Prophet of Truth was torn by internal conflict over his knowledge of the very foundation of the Covenant being a lie. In public, Truth displayed a calm, stoic personality. During Thel 'Vadamee's trial he expressed little or no emotion whatsoever despite the fact that Installation 04 was an irreplaceable relic. However, he was quick to become angry towards those, like his fellow Hierarch Regret, who did something foolish or reckless. If so angered, Truth was quick to dispose of his enemies, directly or through careful plotting. After arriving on Earth, Truth appeared noticeably more aggressive and impatient, possibly having grown annoyed by the "Demon" interfering in his ascent to godhood. Contrary to his name, Truth is very deceptive, frequently lying or covering up certain events to accomplish his goals; he was well aware of the irony of his title, reflecting upon choosing his name that he would be forced to lie for the sake of the Covenant. In an attempt to boost the Jiralhanae's popularity within the Covenant, he announced to the Covenant that it was the Brutes who found the Sacred Icon instead of the Arbiter Thel 'Vadamee. Truth also secretly ordered the killing of Thel 'Vadamee by the Brute Chieftain Tartarus, as well as the assassination of the Elite Council members, knowing of the Brutes' own rivalry with the Sangheili and manipulating that rivalry to suit him. Truth also lied that the Prophet of Mercy was by his side during the Flood's assault on High Charity, when in fact, Mercy had died in an attack by the Flood moments earlier. Truth had mercilessly denied him help, stating that "the Great Journey waits for no one". Prior to the Human-Covenant War, he had acknowledged that he would have to be deceitful in order to "maintain the Covenant" by claiming that the humans were trying to steal and destroy Forerunner relics, when, in fact, the Forerunner glyphs were mistranslated as "Reclamation" instead of "Reclaimer." Despite his manipulation and deception, Truth has been shown to be caring at times. Before his rise to power, in his early years he cared enough about the Unggoy to demand their justice when several Kig Yar sterilized many Unggoy at the onset of the Unggoy Rebellion. He argued his case to the Minister of Concert despite it being turned down. Once Truth came to power and was given his title High Prophet of Truth, he waged war on humanity to prevent the Covenant from learning the truth that the Great Journey was false. This can be seen as a selfless act as a means to preserve the Covenant and keep it from falling apart, or a career-serving selfish act to maintain his own power. Although inspiring and charismatic, it is likely that Truth was at least partially insane. Despite being aware that humanity, not the Covenant, were the Forerunners' chosen successors, he was still fixated upon achieving godhood through the use of the Halo Rings. He seems to have rationalized this by claiming that humanity was "weak", and that the Forerunners had left them behind intentionally. 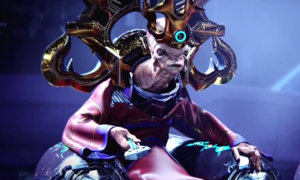 Truth thus became obsessed with gaining more power for himself, to the point where he began to see himself as a god, ready to join the Forerunners that he worshipped. Another potential possibility was that Truth was secretly aware of the Halos' purpose, and wished to fire them himself; then, having been shielded on the Halo he fired (or, alternatively, the Ark), he could have started a new age in which he ruled as one supreme god over all who survived on this Halo installation, leading him to be immortalised in the time afterwards. If this is the case, Truth lied to the entire Covenant, using the promise of the Great Journey to manipulate them into doing his bidding. As evidenced by his desire to achieve divinity at the expense of the entire galaxy, Truth was a callous individual who disregarded the lives of both his allies and enemies. Truth was responsible for the Human-Covenant War and the twenty-three billion human lives lost in it, as well as the Great Schism, and the frequent betrayal of his allies. Truth also compromised the holy city of High Charity at a key moment during the Flood assault on the city, due to the Covenant civil war that he caused. As Truth allowed both the Prophet of Mercy and Prophet of Regret to die, it would seem that he wanted supreme power over the entire Covenant, not content to share amongst his fellow rulers. After the death of the Prophet of Regret, the Prophet of Truth charged the Elites with no longer being able to guarantee their safety, and despite arguments that they could have stopped SPARTAN-117 if they had not been withdrawn due to his order, the Prophet began to set in motion a plan that was preconceived: the shifting of power within the Covenant from the Elites to the Brutes. In a sense, he "killed two birds with one stone" - one, giving himself greater power after Regret's death, and two, passing power to the more loyal Brutes before the Schism. Though the Prophet questioned and learned from 343 Guilty Spark, the extent of his belief in the "Great Journey" is not entirely clear. As the Minister of Fortitude, he learned from the AI stationed on the Forerunner Dreadnought, Mendicant Bias, that the humans were the heirs of all the Forerunners left behind. Fortitude knew that revealing this truth to the Covenant would completely shatter the foundation of the Covenant religion, as it implied that humans, not the Covenant, were the worthy inheritors of the Forerunners. As a result, he lied and claimed that the humans had destroyed the reliquary on Harvest and declared the species to be an affront to the gods, initiating a war that would cost billions of lives for both humanity and the Covenant. Truth refers to the Ark as "this shelter from Halo's fire" in one of his sermons to his followers. Although the Covenant's exact beliefs regarding the Great Journey are not entirely clear, this appears to contradict the notion of the Halos propelling the faithful into godhood and indicates Truth was aware of the Halos' destructive purpose. It is apparent that he sought to activate the rings while safe in the Ark to clear all of his nemeses, both Sangheili and humans alike. It is possible that after learning about the true purpose of the Halos, Truth construed the Great Journey as a means to eliminate the Covenant's enemies; with himself and his followers saved on the Ark and the rest of the galaxy purged, they would wield the so-called "godly" power promised by the Prophets for ages. However, when Johnson asks Truth, "Can't start your own party? ", Truth replies: "I admit. I need your help. But that secret dies with all the rest." This indicates that he ordered the Brutes to capture a human, but did not tell them why, supporting the idea that the Covenant at large remained oblivious to the Halo Array's true function. He likely took advantage of the fact that the Jiralhanae are not as questioning as the Sangheili and that the promise of the Great Journey would reach them if they obeyed. Although a description for the Prophet describes him as "deluded, possibly insane" as well as a true believer, it is noted that he has always been far less ascetic in his views, even while still the Minister of Fortitude, accepting the dogma but not usually acting in particular reverence toward it. This continued later on in his career as a Hierarch, most likely because he was partially disillusioned to the Covenant religion by Mendicant Bias's revelations aboard the Forerunner Dreadnought, though not to the extent, unfortunately, that he knew that the Great Journey was a myth and that activating the Halos would destroy all sentient life in the galaxy. All of Truth's actions can be seen as a means to preserve the Covenant. He declared war on humanity in order to keep the Covenant from learning that the Great Journey was a lie, which would tear it apart. When Sangheili came closer to finding out that the Great Journey was a lie, as with Sesa 'Refumee's heretic faction, he viewed them as a threat. Seeing the Sangheili as a threat to uncovering the truth, he made plans to eject them from the Covenant in order to stop the truth behind the Great Journey from spreading. As a leader, keeping the Covenant alive was one of his main goals if not the highest. Check out our collection of quotes related to Prophet of Truth in its quotes page. In Halo: First Strike, both Truth and Tartarus are referred to as "it." Prophet, his title, is a masculine word, as opposed to "Prophetess." This was probably done simply because both individuals are non-human, whereas the rest of the book is told from the humans' viewpoint. The Prophet of Truth is voiced by Michael Wincott in Halo 2 and by Terence Stamp in Halo 3. The change was made due to the fact Wincott chose not to reprise his role in Halo 3. The Prophet of Truth is the only Covenant character who has referred to John-117 as the "Master Chief" (barring Thel 'Vadam during Halo 2 Anniversary's Epilogue, as well as the Halo 5 Guardians E3 2015 demo), though several Elites at least acknowledged him as "Spartan". In Halo: Contact Harvest (in which Truth was still known as Fortitude), it is stated that the design of Fortitude's apartment, which narrows as it gets higher until finally tapering to a point, is not only to serve as an anti-intruder measure, but also as a personification of Fortitude's political philosophy: At the top, there is only room for one. This foreshadows Truth's later betrayal of Regret and Mercy in order to become the sole head of the Covenant. The Prophet of Truth was named #60 on IGN's Top 100 Video Game Villains list. Truth's day and month of birth was decided upon in Halo: The Essential Visual Guide. It was chosen to echo "the Ides of March" account of Julius Caesar's assassination, as the Prophet of Truth was assassinated by the Arbiter. In the level Regret, Cortana comments that the Master Chief might actually be doing Truth a favor by killing the Prophet of Regret after listening to Truth's admonishing reply to Regret's message. Indeed, the Master Chief killing Regret opened the way for Truth to seize more power for himself. A profile of Truth in Halo 2. The High Prophet of Truth. The Prophets of Truth and Mercy. Truth forcing Johnson to activate Installation 00 in Halo 3. Truth in Halo 3: ODST. The Prophet of Truth with two Huragok. The Prophet of Truth as seen in Origins. The Prophet of Truth's non-canon appearance in Odd One Out. Thel 'Vadam impaling the Prophet of Truth in the motion comic adaptation of The Return. A model of Truth for Halo 2 Anniversary. The Prophet of Truth in Halo: Rise of Atriox. ↑ Halo: Contact Harvest, page 148: "Fortitude was not as devout as other Prophets. He believed in the Great Journey, to be sure, but by vocation he was more technocrat than theologian. And yet, as the Minister rose through a pocket of less-crowded air, he couldn't help but feel a rush of spiritual invigoration as the Dreadnought's grand tripodal frame began to glimmer in the morning light."